Pattern is written, but the colorwork is also charted. plus, 8 other colors all need around 5 grams each - 3 grams for the pattern and 2 grams for the tassels. 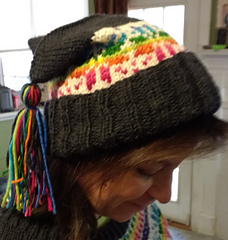 Gauge: 5 stitches to 1” in stockinette. 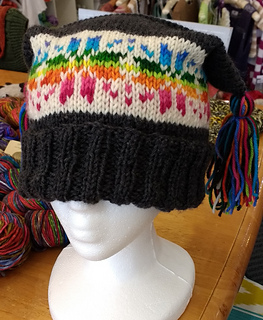 This hat is #10 in the 12 Hats of Christmas KAL on the Criminal Knits…for the Serial Knitter in all of us. Group - come join us for all the fun!